Competitive Loans Available For Good, Fair & Poor Credit. All Circumstances Considered:- CCJ`s & Defaults. 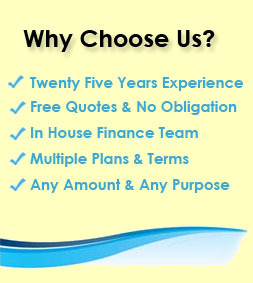 We May Help Even If You`ve Been Refused A Loan. 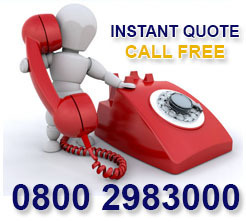 Free Loan Quotes For Employed & Self Employed. If you have previously been refused a loan it is often helpful to understand that there may well be other loan plans available for you and explore your alternate loan options. If you are in this situation then you have come to the right place, we specialise in successfully arranging loans for UK customers who may have struggled to obtain enough money or have been declined a loan elsewhere. 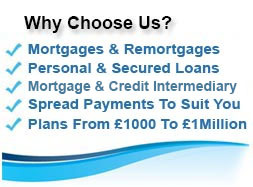 Our lenders plans begin at £1,000 and can go up to £150,000. 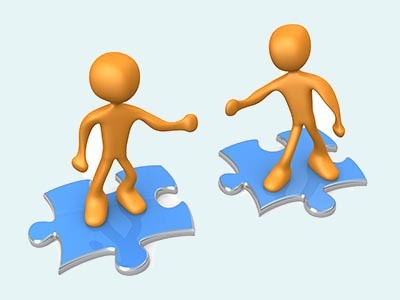 The loans can usually be used for any purpose and enable you to spread the loan repayments to keep the loan affordable. Furthermore many plans allow you to settle the loan early and so save you interest. Being refused by a particular loan lender or bank doesn`t always mean a `no` to obtaining the money that you are after with a loan. For a no obligation, confidential conversation with our UK based loan team call on 0333 003 1505 (mobile friendly) / 0800 298 3000 (free phone) or spend a minute filling in our on line enquiry form and we will come back to you. By contacting First Choice Finance you can get help, access to multiple lenders and a no obligation free quote from a company with over 25 years experience. During that time we have successfully arranged a multitude of loans for those who have been refused or let down elsewhere. Your credit history i.e. how well you have conducted your credit payments over the last 4 years. Your age at the moment and how old you will be when the loan term you prefer comes to an end. Having a regular income that you can prove (e.g. do you have payslips) and your time in employment / self employment. The type of property you live in and to some degree potentially the area it is in, again this applies to remortgaging and secured loans only. Refused A Loan, So What Now? Being refused a loan can be problematic but it doesn`t mean it is the end of the road for your financial aspirations. Many thousands of people have credit issues but take a conscious step to get themselves back in control and win over their financial predicament. You may have been refused a loan for a number of reasons but it is generally related to the items listed above, however many lenders do not count all of these as key factors so getting help from someone who knows which lenders match your circumstances and still approve them may be the key to getting accepted for a loan. Once you have been refused it is best that you do not simply keep applying for other loans without a strategy. This can be one of the worst things you can do as any application will be recorded on your credit file and affect your score, often negatively. By acting prudently you can prevent any further reason for a lender to refuse your loan. At this point, if you haven`t already done so we urge you to contact a seasoned broker like ourselves, it can often be the difference between a refused loan and a successful one. 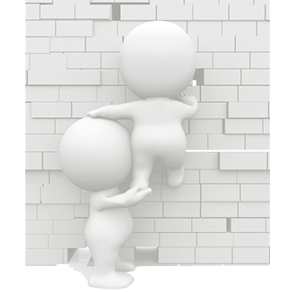 We want you to be on the successful side so if you have an idea of the loan you are after simply fill in our short online application for at the top of the page and we can get back to you with a free no obligation quote. As we have explained earlier having bad credit isn`t the only reason you may have been refused a loan. If you have previously carried out a credit search on yourself and been told that you have good credit it can be surprising if you have applied for a loan that has been refused. However, there is no reason to be disheartened, being refused a loan doesn`t all of a sudden mean that your credit score has plummeted, it could simply be that the lender you have gone to isn`t happy to lend on your particular circumstance. Factors such as your age or not having had any credit in the last few years are enough to stop some lenders approving you. We have a competitive panel of loan lenders for personal secured loans that lend on a wide variety of situations for homeowner loans and we have access to both personal and guarantor loans through our established associate businesses . With many specialist lenders on board we can provide you with access to lending in those cases that most people consider out of the ordinary. Good, fair or poor credit files, employed or self employed or recent home movers we aim to have some loan plans available for all. It could be well worth your while giving us a call, contact the finance team on 0800 298 3000 (from a landline) 0333 003 1505 (mobile friendly) or fill in the short form starting at the top right of this page and we will get started on getting you accepted for finance asap. Whatever the reason you have been refused a loan, it is true that the largest offender is often down to having some poor credit. If you are looking at securing a loan in this situation either enquire to us now or head over to our page on poor credit loan options. If a poor credit homeowner loan is not something you wish to consider we also have access to many guarantor loans that require no credit history for you whatsoever and will not be secured against your property. 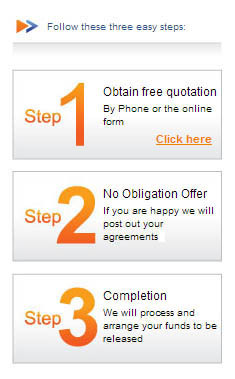 For more information on your options if you have been refused a loan anywhere contact us at your earliest convenience.